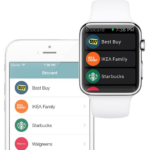 Just under two weeks ago Apple launched Guided Tours on its website to show customers how to use Apple Watch. At the time, we saw three guided tours for Messages, Faces and Digital Touch. When it comes to phone calls with Apple Watch, covering up the watch face with your hand can mute any incoming phone call. Siri on Apple Watch will activate when you say “Hey Siri”, plus the assistant can also launch apps just like it can on your iPhone, or launch phone calls and send text messages. To launch Music from Apple Watch, just swipe up on the watch face or use Siri to launch songs for you. To sync playlists on Apple Watch, attach it to the charger, open up the Apple Watch app on iPhone, tap Music, then tapped ‘Synced Playlists’. 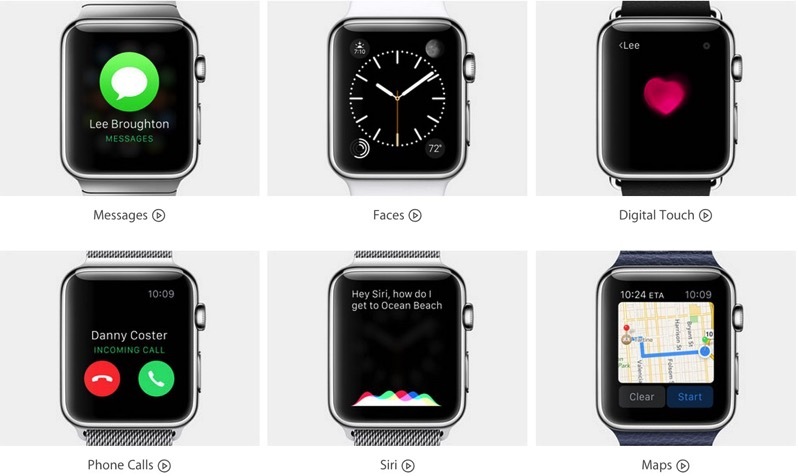 From Apple Watch, you’ll be able to stream music from iPhone or music on the watch. With Apple Maps on Apple Watch, any directions started on iPhone will also show on your smartwatch. For directions, you’ll receive a tap on your wrist when it comes time to make a new turn. 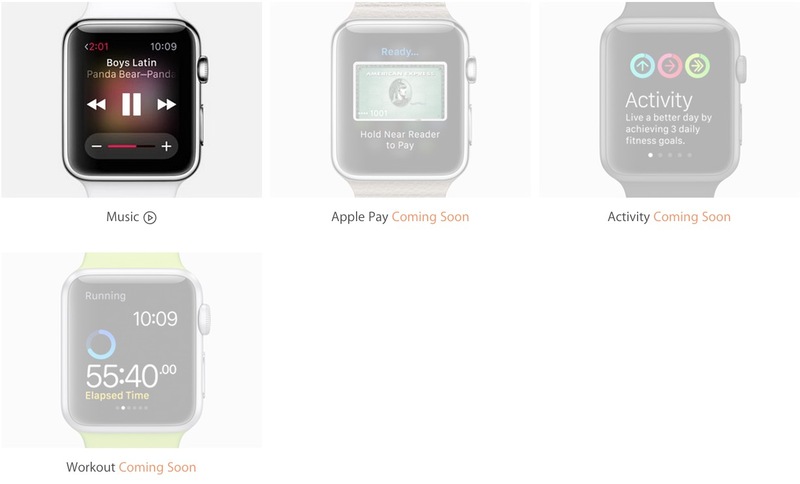 Guided Tours for Apple Pay, Activity and Workout are still marked as ‘Coming Soon’. Stay tuned as Apple will most likely upload these guided tour videos to its YouTube page. Once it does, we’ll update this post. But until then, click here to check out the new Guided Tours!